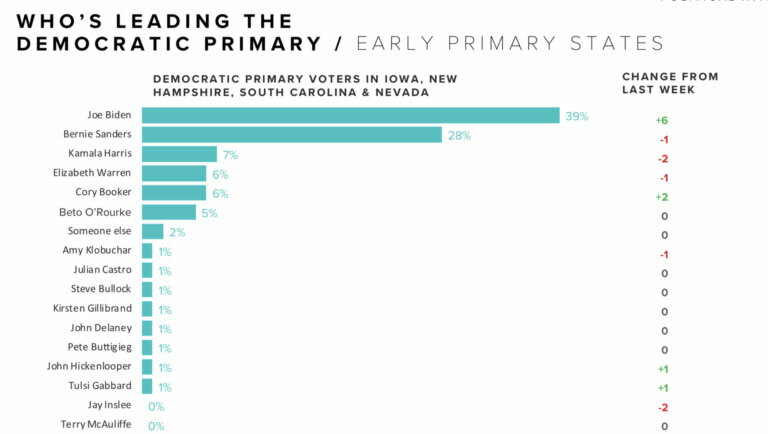 New polling by Morning Consult (over 13,000 interviews with registered voters planning to vote) show former Vice President Joe Biden continues to lead as the choice for Democratic candidate for president in 2020. 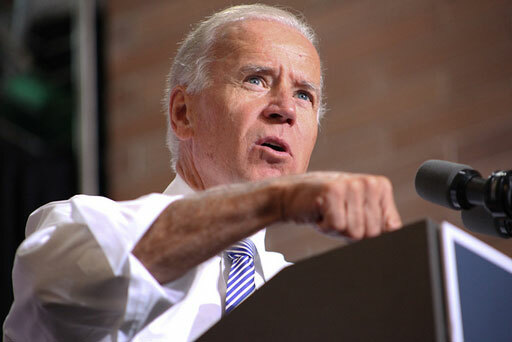 The recent polling showed Biden edging up 4 points nationally, and 6 points in early primary states. 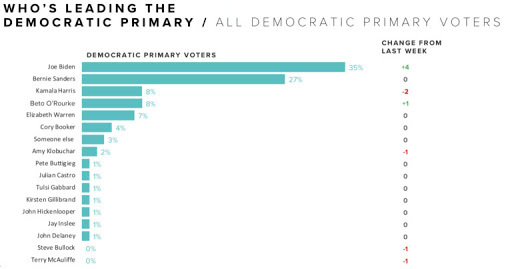 Biden currently polls 35% among all Dems with Sen. Bernie Sanders coming in second at 27%. The nearest contenders after the two leaders are Sen. Kamala Harris and former Rep. Beto O'Rourke coming in with 8% each.